Then I thought, wouldn’t it be kewl to have one with Springwolf on it? 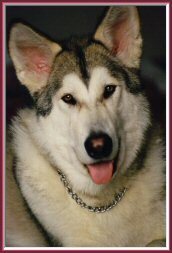 Now if I can’t find Vickie, of course Springwolf wasn’t going to be out in the world. But I discovered that Coke regulate what it will and will not put on the label. Smart move on the company’s part really. But you can make special requests. So I submitted Springwolf and waited to see if it would be approved. But it made me wonder how many people actually put in the request like this? And of those, how many get approved? And of those, how many people actually go back and purchase the bottle once it’s approved (if it’s approved)? Springwolf was approved and it made me very happy. So of course I went back and put in an order for my specially personalized bottle. Like any happy loyal customer I tweeted a picture of my new bottle of Coke on Twitter with all the fanfare and excitement that went with it; for me anyway. And of course that tweet went out on a Sunday during the NASCAR Sprint Cup race from Michigan. It’s been a week since I’ve posted that picture of the Springwolf/Tony bottles. Today I log into Twitter to do some work and see what the big news of the day might be as any normal day. When low and behold what I was met with a surprise that made my day! 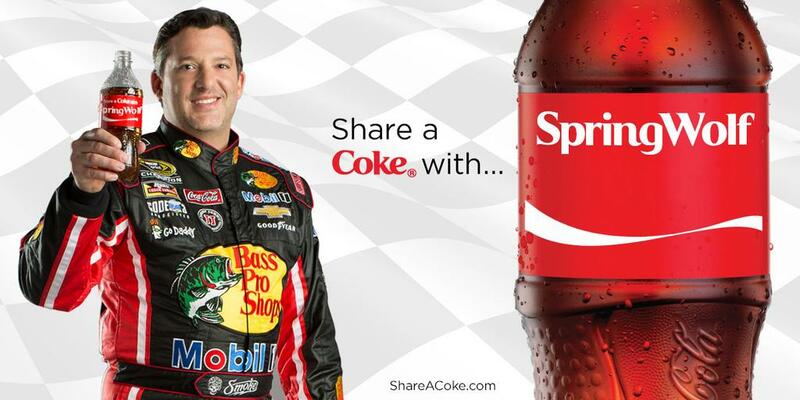 A tweet back from Coca-Cola Racing with my personalized Coke bottle in a graphic with my favorite NASCAR driver, Tony Stewart! 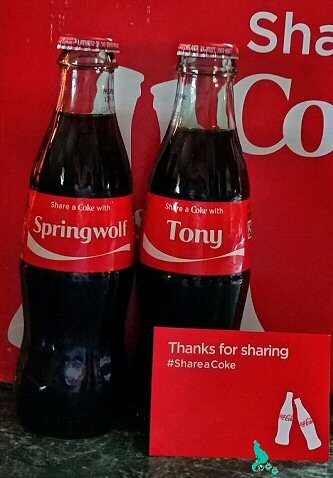 And if you can’t tell, Tony is holding my personalized Springwolf bottle of coke! What?! Yes its smart marketing on their part. But come on, someone had to make the effort, no matter how small, to create the graphic and post it. And they had to make some effort to personalize the reply back to me personally. I’m an IT geek, I realize it could be a program generating the graphic and sending the tweet. Stop being a kill joy! It still took someone some effort to interact with customers and fans and create the idea. And it took someone to create the program. And it still took someone to implement it and that’s not always an easy thing. I’ve been there done that. Appreciate the little things that bring a smile to your face. Because the big things don’t come around that often. What effort it took, big or small is appreciated by this Coke Racing fan! Seeing this put a big smile on my face and made a difference in my day. The graphic alone thrilled me and I am indeed saving it into my slideshow screen saver on my laptop, my tablet and my phone! Smart marketing? Of course. I’ve tweeted about it, I’m blogging about it and it will show up in my FB feed too. Free advertising for Coke? Yeah..so what. 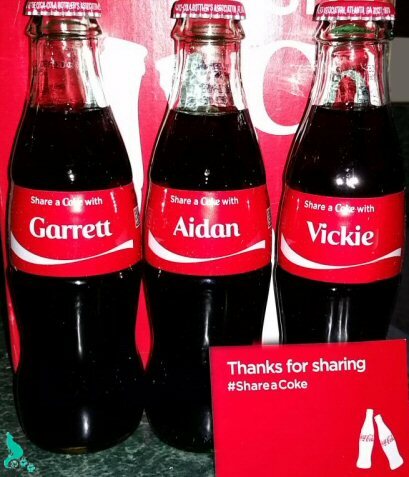 Now it wasn’t until they sent me this tweet that I realized you can customize and Share A Virtual Coke on their website. A new feature this year, according to their webpage. So if you’d rather have a dietCoke with your given name on it and you only want the picture and don’t care about the bottle, you can do that too. 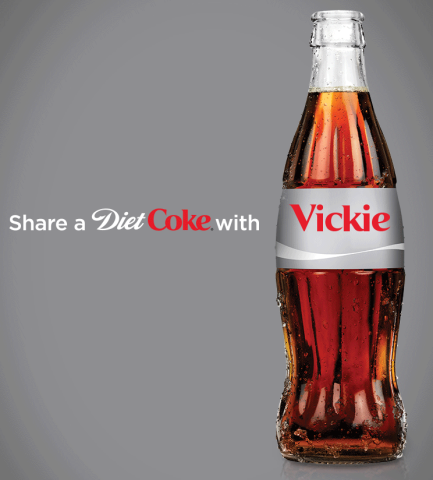 The same rules apply with the virtual coke bottle as buying a real bottle, the name must be on the Company’s approved name list. But you can request to have a special name approved if it’s not already available. It’s an easy email and it doesn’t take them long to review the requests and notify you of their decision. The big thrills in life really don’t come along that often. Don’t sit around waiting for months or years to be excited about a big thing. If you don’t take time to enjoy the little things, you’re missing out on a lot of little special moments in your life. Along with some fun and kewl moments that make great stories when you’re old. All the little blessings in life add up over time. Won’t it be nice to look back and smile about the things you didn’t miss? Or share a little story about all the tiny things that made a difference in your day when you were younger? This will be one of mine. I’ll pull out that bottle of Coke with my name on it from the China hutch and tell the story about the picture of my favorite driver holding my personalized Coke and how it made me smile on a cloudy, hot and muggy day!